Video surveillance systems are wonderful ways for homeowners and business owners to keep an eye on what is going on around their homes and buildings. They can be used both indoors and outdoors and are particularly useful for keeping property protected from prowlers and burglars. With the numerous options of surveillance systems that are available, it can be difficult for an individual to choose the right one. In addition, it is sometimes confusing to sift through the myriad of technical terms and accessories to know exactly what is needed. However, the Uniden Guardian Advanced Wireless Surveillance System (G455) and others that are similar to it provide some great options to meet every monitoring need. Individuals must choose what part of their property they wish to monitor. Some cameras are designed to be weatherproof; which is the best choice for outdoor surveillance. The number of cameras that should be installed depends on the size and design of the property. Some people choose to install only one camera by a main door; however, many prefer to have two or more cameras installed around their homes or buildings for complete monitoring. Of course, the higher the resolution, the better the images will be. Cameras should have at least 350 TV lines of resolution. However, some high-definition cameras may have up to 800 TV lines. Black and white cameras are typically cheaper than color cameras are; however, footage from color cameras is easier to view. Unless there is someone constantly staffing the monitor, individuals will want some way to store the footage. They should look for a large hard drive or the ability to add on storage space. Some cameras also come with a DVR. This is particularly important for outdoor monitoring in areas that are not well lit at night. Wired cameras are often cheaper to purchase. However, it is easier to set up multiple cameras on a wireless system that uses internet bandwidth for transmission. The cameras are waterproof and weatherproof and have night vision of up to 40 feet. 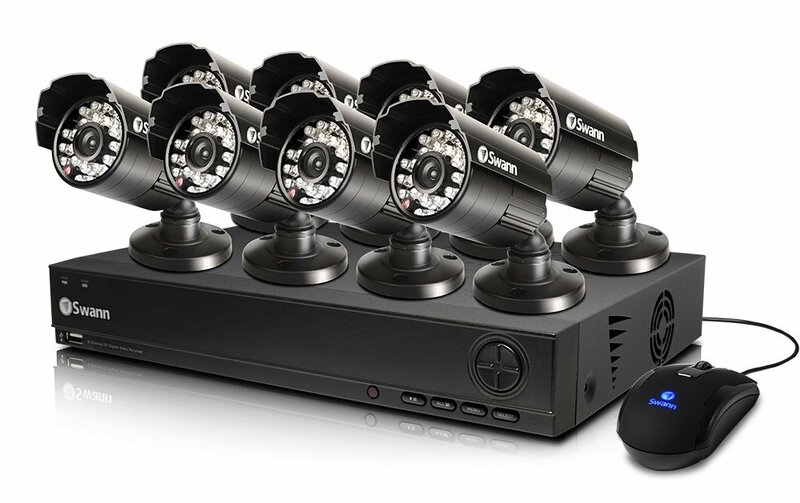 Two cameras are included with the system; users can add up to two more for even more extensive monitoring. 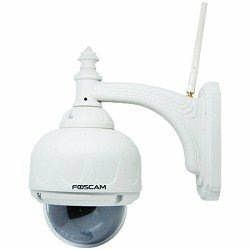 The wireless cameras are easy to setup and use the internet through the home or business’s wireless router. Individuals can monitor activity from up to four cameras at once through the included monitor or on their computers. Images are recorded on a 4-gigabyte SD card. Individuals can choose to record everything or to record only when motion is detected. The Uniden Guardian Advanced is a moderately high rated product with a number of great benefits for the price. However, there are a few concerns with this system. First, the power cords to the cameras must be manually plugged in, which requires having an outlet nearby. In addition, they can be quickly and easily unplugged by prowlers should they notice the cameras. Second, Uniden support is mainly geared for Windows users rather than for Apple, Linux or other operating systems. Uniden offers many advantages, however, which override the previous concerns for most people. First, the wireless cameras transmit up to 500 feet to the monitor, allowing them to be placed in a wide range of places. Second, with a simple application, users can watch live footage on their phones, which is perfect for when they are on vacations. Third, the portable monitor is rechargeable and has a responsive touchscreen. Uniden gives users excellent surveillance coverage with the ability to watch saved surveillance videos. The system is expertly designed to be easy to install and simple to use even for those who are not extremely familiar with technology. The Foscam camera costs $199.99 and is rated at four stars out of five. The pan and tilt camera style allows users to see many angles from just one camera instead of having to install multiple cameras. 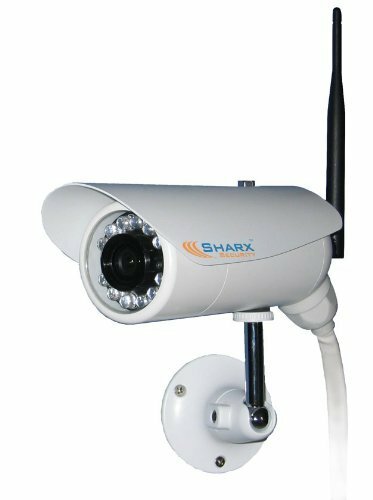 The Sharx Security Camera retails for $499.95 (though goes on sale for as low as $279.95) and is rated at four and a half out of five stars. It includes a DVR that can record footage for up to a week when the expandable SD card slot is used. This Swann option costs $549.99 (though goes on sale for as low as $399.99) and is rated at five out of five stars. The included 500-gigabyte hard drive can record continuous footage for over two weeks while the eight cameras provide excellent coverage for larger homes and businesses. The Q-See System costs $399.99 (though goes on sale for as low as $284.49) and is rated at four out of five stars. 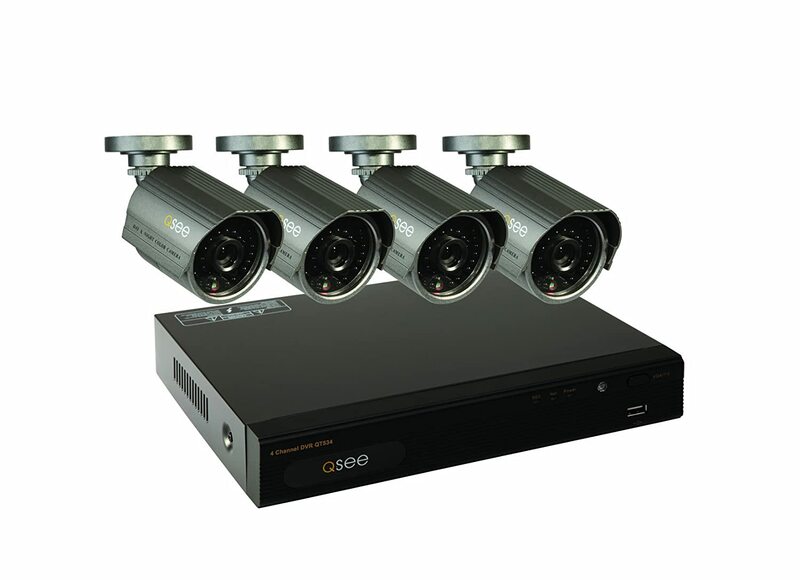 The four cameras offer excellent resolution of 700 TV lines as well as night vision of 100 feet. Video surveillance systems keep property safe and help put individuals’ minds at ease whether or not they are at home. 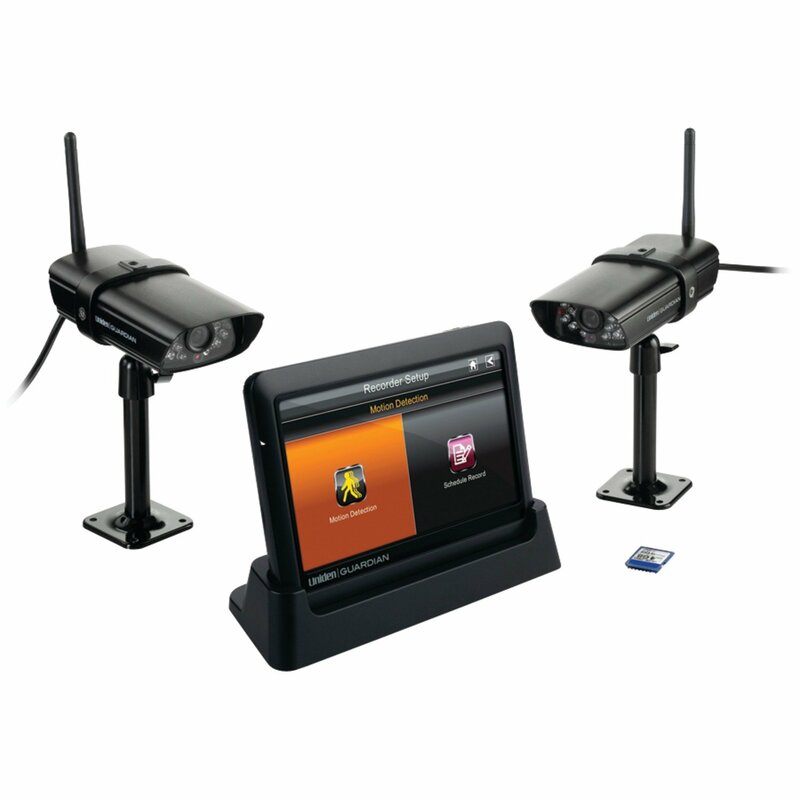 One of the best options available today is the Uniden Guardian Advanced, which provides two cameras that have excellent night vision and connect wirelessly to the portable monitor. This type of technology will protect property day and night in any type of weather for a stress-free monitoring experience.